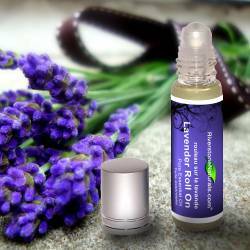 Inflammation Essential Oil Blend is used for pain and inflammation relief for arthritis, joint pain, back pain, and sports injuries by reducing inflammation and assisting the bodies natural ability to heal. * Used for sore muscles, rheumatism/arthritis, scoliosis/lumbago/back problems, torn ligaments and muscles, water retention/hypertension, diabetes, cancer, and hepatitis. * Known for its powerful anti-inflammatory, and pain relieving properties. * Used to regenerate connective tissues and ligaments, dilate blood vessels, improve circulation, and promote lymph flow. * Natural powerfully antioxidant, antitumoral, antiparasitic. 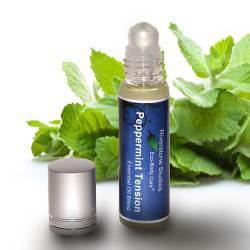 * Used in aromatherapy to promote health and mental stimulation, well-being, purification, and healing. Topical: (1) Apply 2-4 drops on location. (2) Apply on bottoms of feet and/or back spine twice daily or as needed. Caution: Anticoagulant properties can be enhanced when combined with Warfarin, aspirin, etc. Caution: Avoid contact with eyes, ears, mucous membranes, sensitive skin, or fresh wounds or burns. Do not use on infants younger than 18 months of age. Caution: On rare occasion, when essential oils are applied topically, the skin may become red, itchy or hot. Applying Virgin Coconut Oil, Virgin Olive Oil or other plant-based oil will provide relief. NEVER try to remove essential oils with water. The information on this page has not been evaluated by the Food and Durg Administration. This information is not intended to diagnose, treat, cure or prevent disease. Any and all claims of healing properties are based on widely accepted scientific research done on the properties of the individual ingredients. Neither Health Canada nor Riverstone Studios / Riverstone Naturals endorses the practice of ingesting essential oils. Always consult a physician regarding health conditions. Source: Essential Oils Desk Reference / Fifth Edtition.